is a cartoonist and illustrator whose work has appeared in The New Yorker, The Wall Street Journal, TIME, The Reader's Digest, and numerous other print and electronic publications around the globe. John lives with his wife, children, dogs and chickens in Maine, USA, the way life used to be. Follow John on Instagram @jayklossner. He is represented by illustration agency ArtistIQue International. John's cartoons and images are available for resale. Please contact him here or at klossner@earthlink.net for rates and any other information. 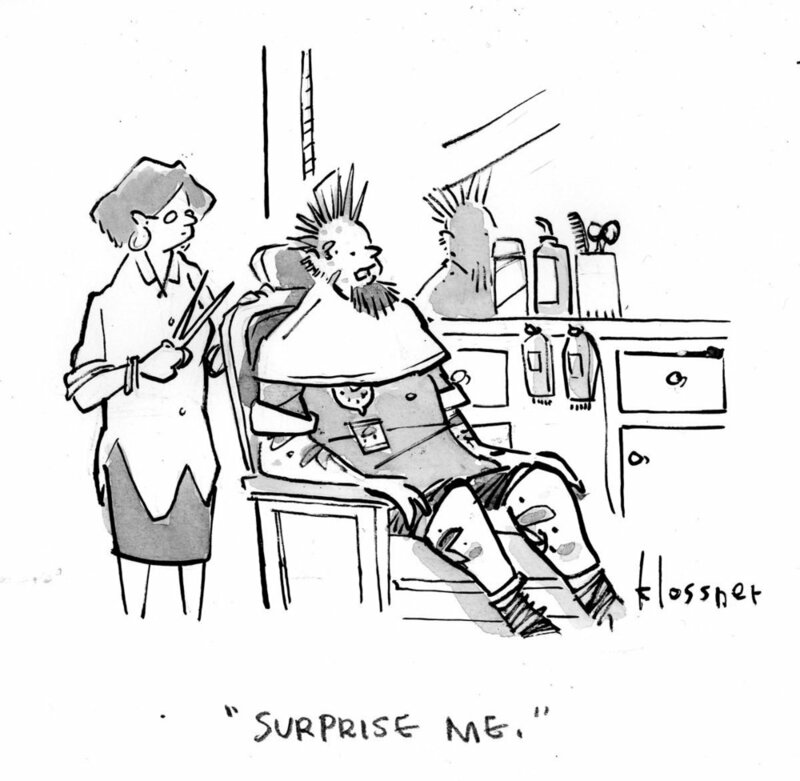 John's New Yorker cartoons can be seen at Cartoon Collections and the Cartoon Bank (search "Klossner").